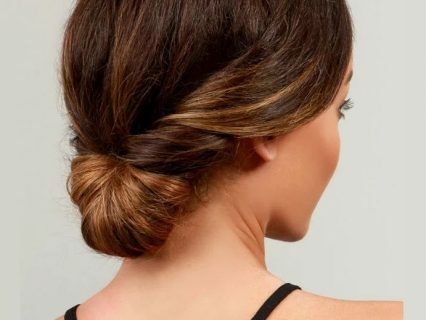 Not sure if you’re down to wear your hair up? 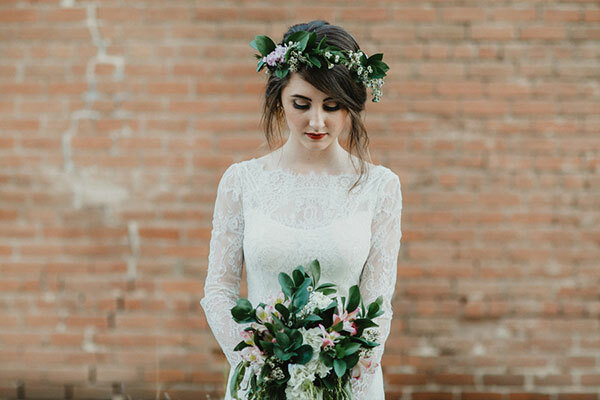 These thirteen photos just might change your mind. 1. 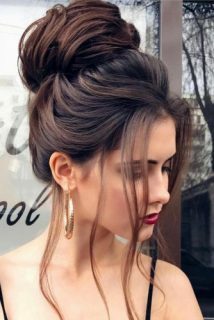 A loosely braided bun. 2. 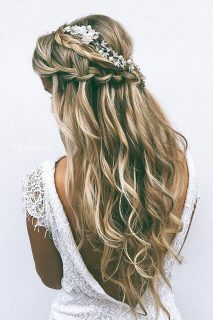 Pretty waves pinned back with a gilded hair piece. 3. 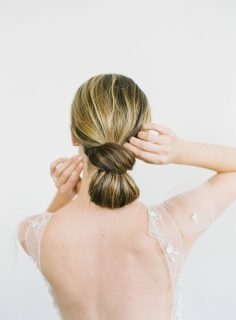 A sleek and modern chignon. 5. 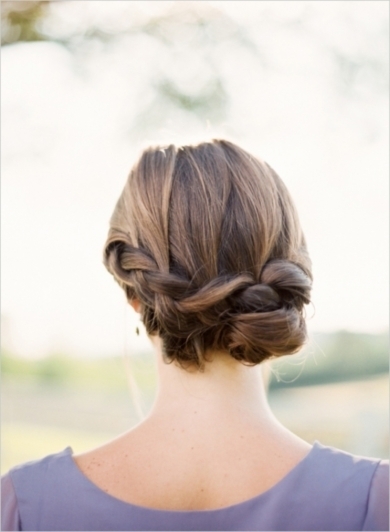 A twisted updo with a perfectly placed flower crown. 6. 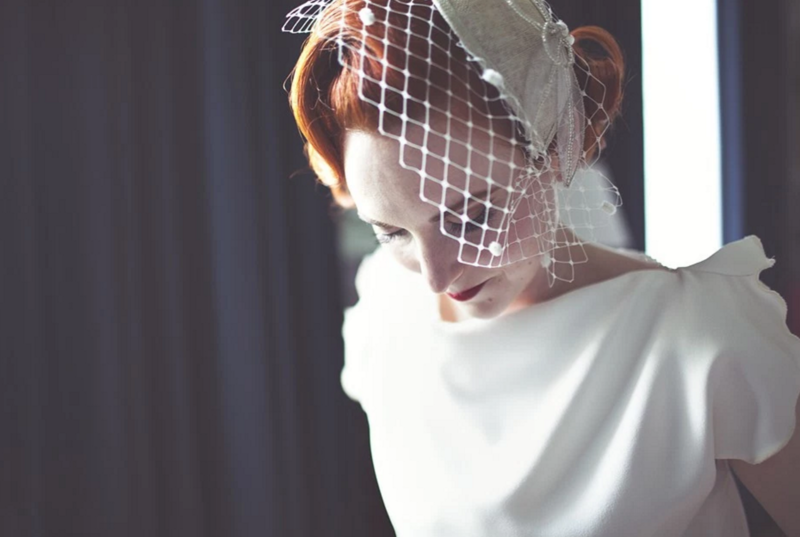 A totally ’20s inspired updo complete with a birdcage veil. 7. 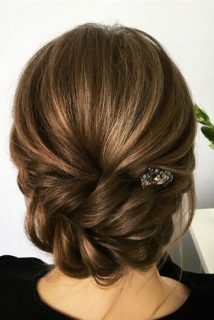 A chignon with tons of volume. 8. 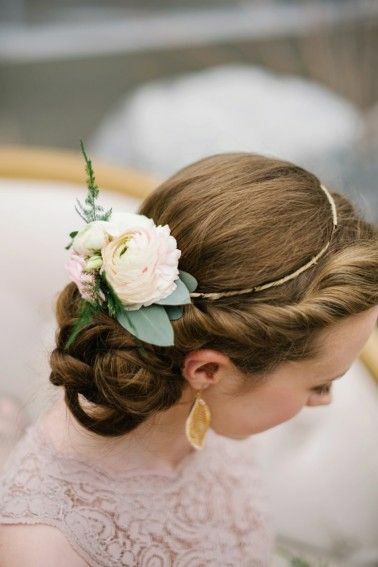 A whimsical updo with a full flower crown. 9. 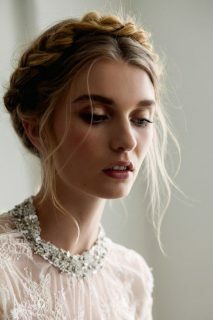 A simple side braid with loose wisps of hair. 10. 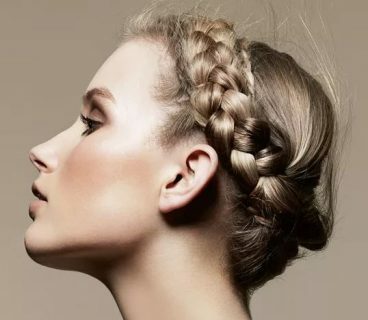 A twisted braided updo. 12. 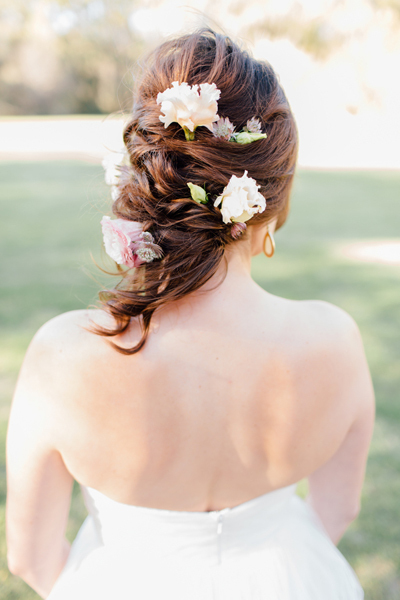 An updo that’s all about the blooms. 13. 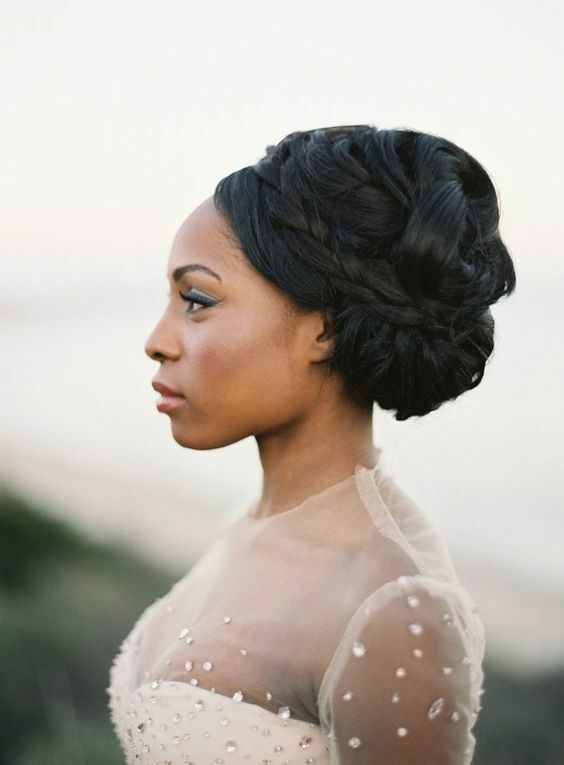 A sleek braided updo that screams romance.